This huge, 7800 square foot, 1850's home in the heart of Cheshire has old charm with multiple fire places and hard wood floors throughout. It has over 8 acres of land. The home does need many renovations to make the house liveable (it does not have a kitchen) but it is structurally sound. Excuse me, but can I buy that gorgeous black mantle…?! I just can’t quite tell if its ebonized wood or black marble…either way, its an amazing piece! I’ve seen similar mantels that were actually marblized cast iron. A lovely home in a lovely setting. Looks like Delft tiles, with a typical windmill scene in that tile mural over the fireplace. It’s a very interesting property, I like the large rooms and the barn is great! This home is so super beautiful. I love old creepy huge houses. Would love to know its history and who lived there during what time periods. I wish I could live there. That house has good bones for it’s age! My Husband and I negotiated on this house with the sellers for 2months … we accepted their counter offer and before they signed their own counter offer they sold the house to a cash buyer that materialized once we negotiated the price down from $195k. Of course we are heartbroken because this was an amazing property but it is clear this gorgeous home will likely be destroyed and not restored (like we had intended to do). To answer some of your questions, the black mantle is cast iron and there was a kitchen the appliances and all the cabinets excepot for the sink cabinet had been removed. The listing agent was a newbie and the sellers inherited the property and it was clear had never bought/sold a house before. Oh, also some history. The current owner is a woman in her 90s (though her sons were handling the sale) and she inherited the property from her parents. Her parents purchased it from a prominent lawyer and continued to run the house as a boarding house/Inn. It was known as The Cedars since the late 1880s. A woman did die in the house, she fell and broke her leg and died later of her injuries. The best part of the house was not shown in the listing is the 3rd floor servants quarters and the cupola. Yes, I have hundreds of photos … not sure how to share them though. Also, if anyone is interested … a similar grand Victorian is on the market with a slate mansard roof right down the street. 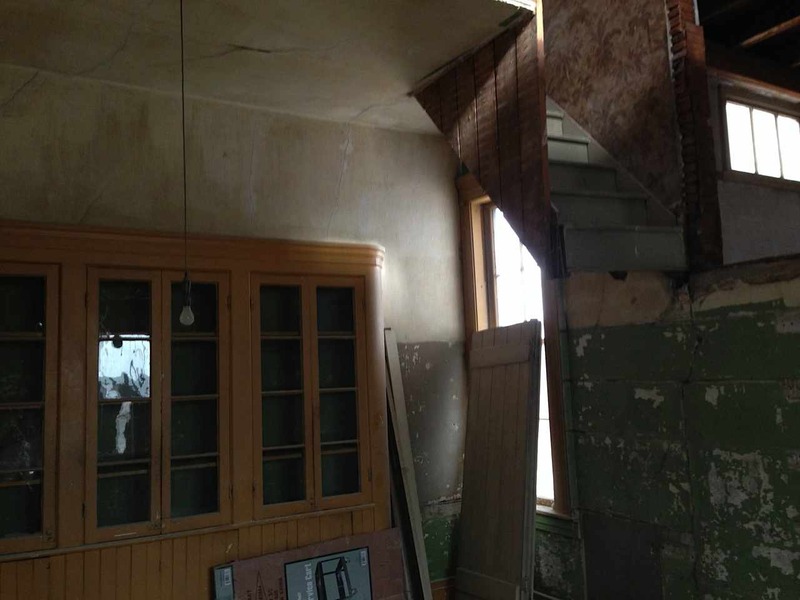 It is in rough shape and being sold as is for $29900 thru the same company that listed this property. Isn’t that great! Wonder what kind of “personal property” it includes? That’s the kind of place I really LOVE to see. Hehehe. That’s cool. I really like this house a lot, and look fwd. to seeing her pix! Hi–my boyfriend and I just bought the house above. I wasn’t aware of Nicole’s circumstances, and I know how painful it is to lose a house, because we lost one under similar circumstances last year. On the other hand, we will be restoring the house (probably over a long period), and we are incredibly excited/intimidated! North Street! It’s enough of a challenge. I think Depot St. is in tatters. 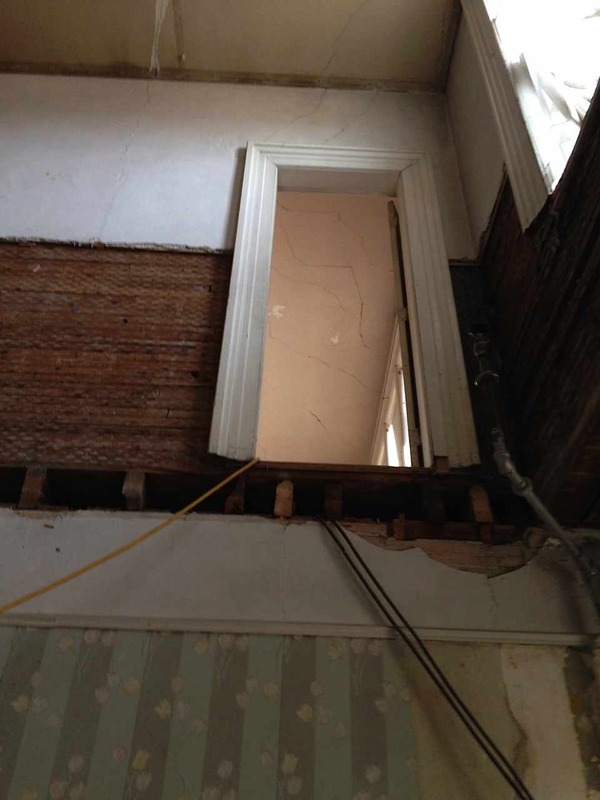 Al, so happy to read that you will be restoring the home. If Kelly lets you, (and I think she would,) please share the photos as you update! yea! I knew you would Wendy! Are they already uploaded or is there more to come? I hope so…. It is right on route 8 so we drove past it several times but have not gone inside. It is really beautiful, has been owned by a developer who tried to tear it down and put in a commercial/food or franchise sort of business but the town would not allow it. So he has allowed it to rot and lists the property for sale now and again. It is in terrible condition, but it still looks solid & sound. Nicole, I’m so sorry ya’ll lost the house, I know it must really hurt. Those first 4 pictures of the outside and grounds in the snow, it is just a storybook house. Do ya’ll want to be in that particular area, or can you go anywhere you find the right house? I had thought if they made a counteroffer, that they were bound by that unless you didn’t sign it. I feel ya! Nicole, please get in touch with me as I am giving a lecture this summer on Historic Homes of Cheshire and would like to ask you a question. Actually, my name is Alison. I’d be happy to answer your question–and to learn about historic homes in Cheshire! Uploaded photos from the new owner, Alison. All photos after the street view photo are from her. Wow. I’ve seen a chimney branch off into two separate stacks before, but that on is positively doing the splits! Great detail shots. Cool spaces. Those log trusses are great; and that’s QUITE a hefty door in the basement. This is the kind of place I could spend HOURS in poking around finding all sorts of interesting bits and details. I LOVE that huge door, and the stairway is really pretty! Hope you can keep adding some pictures, they are wonderful! Jeff, I’m glad you got to see more pictures, like you wanted. I’m really surprised the realtor missed all those! The realtors never know. It can be just ONE picture of something he might not even LIKE, that sells the house to somebody! We know all about that, don’t we!!! My wife and I spent an afternoon looking at this house very closely this past fall. It’s an amazing house. The bones are terrific. The ceilings really high, vast open hallways and rooms. Very grand. The spaces are priceless. No kitchen but there are a number of rooms on the 1st floor to create one. Seller actually had a kitchen on the 2nd floor (don’t ask). Basement is amazing with walk-out french doors to what could be a patio. All the original details are there (at least from the last redecorating in the 19th century). Third floor was not very useful with no heat and will require a lot of work. 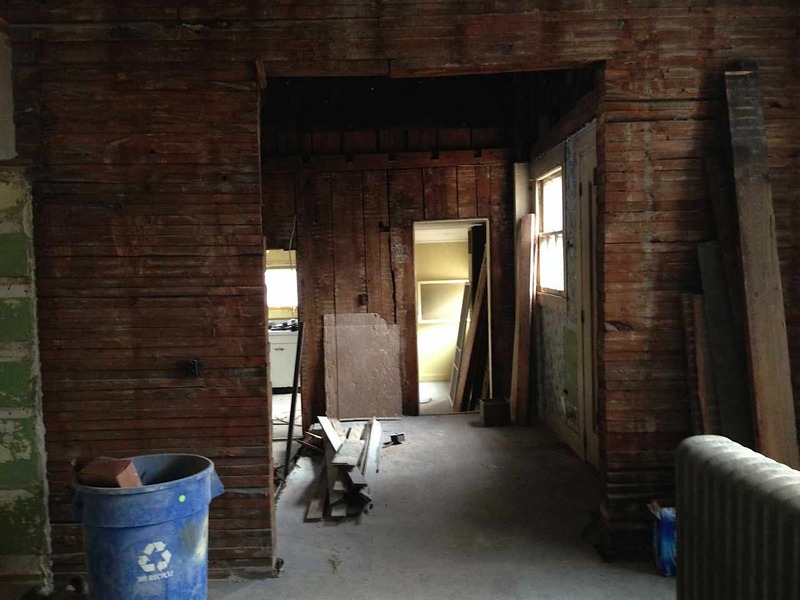 Half-baked addition on the back could be converted into presentable usable space. Outbuildings are tear down except for the barn which needs a lot of work. Very big acreage for in town. I wanted to buy this house since it isn’t far from Berkshire cultural activities. We didn’t buy it solely for the location (which always seems to be the main issue in this part of the country). The house is right on Route 8 and is not set back. Gas station and mini-mart across the street, surrounding houses aren’t that nice, neighborhood wasn’ great. If it were a few miles away in a rural setting I’d have bought it for twice the price. It’s an awesome house. Needs a lot of work, but is basically solid. The price is a steal (even with a ton of work needed like repairing the rotted soffits and major mechanicals). If someone wants to be in-town in that area it’s fantastic. I’m glad you like the house. We are still completely in love. You are so right about the location—Route 8 is its big drawback. I will say, however, that the gas station is not right across the street—it’s down the hill, and there are a couple of nice houses around, although plenty of very modest ones, too. Cheshire is quite charming, with houses, many older than ours, that are beautifully maintained. My boyfriend and I have had several great conversations with the 103-year-old former owner. She now lives next door, and she’s a wonderful, sweet woman. Our house is still completely uninhabitable. We’ve already managed a classic newbie move: we were keeping the house minimally heated, paying for a ton of oil—but not enough. Because we don’t live in the area yet, we didn’t realize how much oil the place uses. That’s right, no oil, no heat, frozen pipes, cracked radiators. Luckily, the water pipes were already drained, so it was just the heating system. We’ve had the existing plans of the house drawn up, and the architect who did them for us is now drawing up a revision with changes we’d like. One thing that might interest you is that we are taking off the latest addition to the back–you may recall its construction is much poorer than the rest of the house. After we get the new plans, I guess we’ll ask for bids from several contractors. Exciting, expensive, and slow! Thought I would offer an update of our progress so far–which has been extremely slow. We have a wonderful carpenter–the G.C. bids were too high, so we are trying to cobble together a team–and he has done a lot of demo. The upstairs bathroom floors (they were next to each other) ended up being 4 inches of concrete resting on rotting joists. THAT was way more complicated than we anticipated. We are making a kitchen in the first addition in the back of the house. It will be relatively small for such a giant house, but we decided it was best for the layout. We are keeping the plaster walls (if I can learn how to repair them), but we are dropping the ceilings by 4 inches so that pipes and wire can fit. 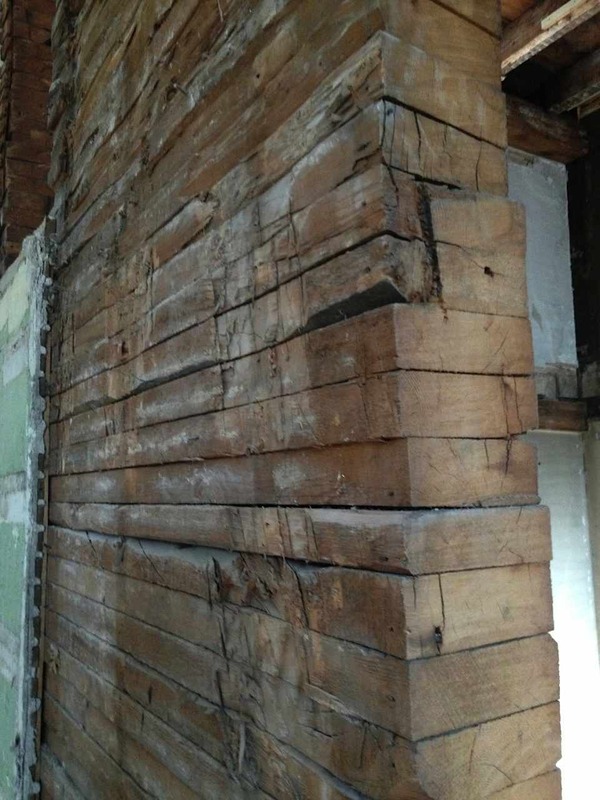 Hands down the most surprising thing is that all the walls–exterior and interior–are made of stacked 2x4s. 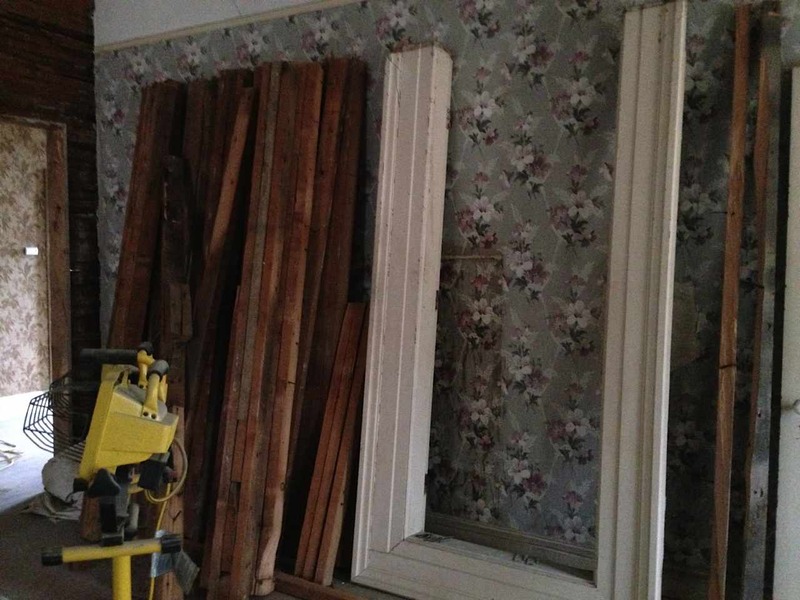 They are solid wood, with lath and plaster layered on. None of the many contractors, carpenters, etc, who have been in the house have seen anything like it. It must have taken hundreds of trees, probably from the property! I will try to post pictures. Thanks Allison for sending in some photos! Wow! I read every comment on this post! Are you on Instagram? If so, please share your user name. That is an easy way to share your pictures and renovations. I’m afraid I’m not on Instagram. We’ve made a lot of progress in the past year. We had our inspection for the plumbing rough- in, we finished with the radiant heat for the first floor (the radiators cracked and the pipes would have had to be replaced, so we made the big decision to do radiant. Our electric has been something of a nightmare because of a dispute with our first electrician, but we think we are less than two weeks away from our wire inspection. Because of our budget, we are not able to finish the second floor until we win the lottery. We hope to be in the house in a couple of months.